Today I have a guest post written in conjunction with Bonney Brown and Diane Blankenburg about their consulting organization, Humane Network. 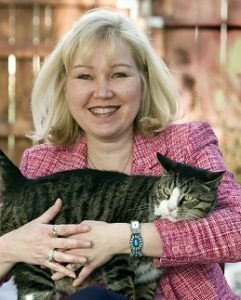 Brown and Blankenburg are well known in the animal shelter world for their work in leading Nevada Humane Society (NHS) for several years in its transition to achieving and sustaining a community-wide live release rate of 94%. NHS had (and still has) a partnership with Washoe County Regional Animal Services (WCRAS) in providing animal control and sheltering for Washoe County, Nevada, which contains the cities of Reno and Sparks. Their success in Washoe County was an especially important milestone in shelter lifesaving because it was not a progressive or wealthy community. Almost all successes in community-wide lifesaving before Washoe County were in resort or college towns, or progressive places like San Francisco and New Hampshire. Reno was a more typical city, with economic challenges and a very high rate of shelter intake. So when Washoe County achieved a live release rate of over 90% it was proof that high save rates could be achieved anywhere. 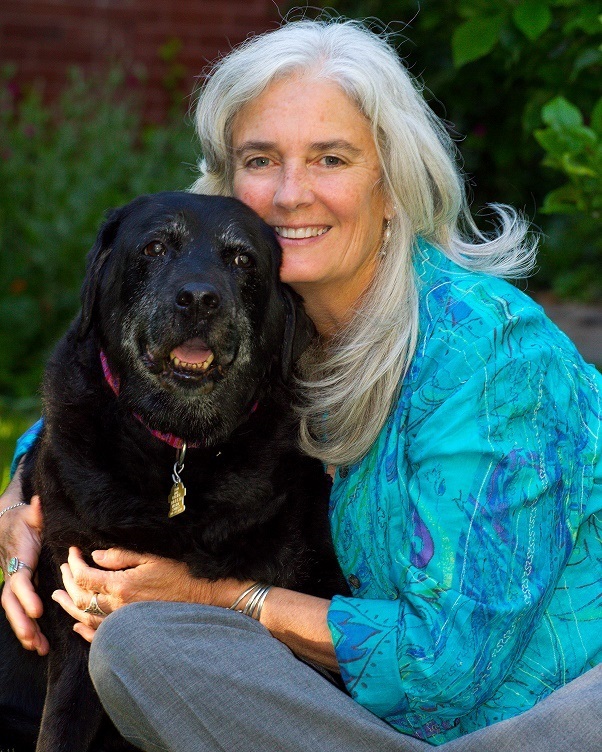 In 2013 Brown and Blankenburg decided to take the next step in their journey by becoming shelter consultants, and they left NHS to launch Humane Network. In addition to their own expertise, they have a team of experts they can call on. Mitch Schneider, who has a long career in animal services and headed WCRAS while Brown and Blankenburg were leading NHS, is on the Humane Network team. So are Lisa Lane, formerly of the Charlottesville-Albemarle SPCA, and Kelley Bollen, a certified animal behavior consultant. As Brown says, when a community is trying to increase their live release rate “the devil is in the details.” The basic best practices for lifesaving shelter operations were developed back in the 1970s and 1980s, and in the last few years some important new programs have been added. The issue for shelters that want to increase their live release rate is not so much deciding what programs need to be put in place to increase lifesaving – that is pretty well standardized today – but how to implement the programs. There are a myriad of large and small “how to” issues in getting from here to there, and that’s where Humane Network can help. For example, everyone knows that having a foster program is important for lifesaving. What isn’t so obvious is how to set up a foster program, how to recruit the foster caregivers, how to recruit the right person to run the program, what training the foster parents need, what level of support they should have, and what documentation is needed. What about liability? What about the foster contract? What does a foster do if an animal gets sick in the middle of the night? Who pays for routine expenses like food? What procedures should be in place to protect animals in foster? What will the program cost and how will funds be raised to pay for it? Is it sustainable? In addition to helping shelters with the myriad details that come up in the implementation of lifesaving programs, Brown and Blankenburg have found that one of the most important keys to success is follow-up. Even when shelter staff are given a detailed road map to institute a best-practice program, follow-up is important to provide moral support, make sure that the roadmap is understood, and answer the additional questions that so often arise. In some cases shelters have already achieved a high live release rate at the time Humane Network is called in, but they are not doing it in a sustainable way. They are burning themselves out by working long hours, or spending the organization’s endowment, or relying on frequent emergency pleas to the community. In those cases a consultation can help the organization get to a point where it can maintain its success long-term. The Humane Network team can also help organizations with applying for grants, including, in some cases, grants to pay for the consultation process itself. Helping communities get lifesaving programs up and running is only one part of what has been keeping Humane Network busy for the last three years. Another service they provide is helping organizations recruit the right leadership. Leadership is one of the most critical needs for any animal shelter because so many different talents, including business and people skills, are required. But recruiting executives to run animal welfare organizations can be challenging because the pay is often not competitive with other fields and the level of public scrutiny can be daunting. Brown and Blankenburg help organizations sort through what qualities are critical for success, and then help them find suitable candidates. People who work in the private sector in business management, marketing, human resources, and related areas generally receive training in various aspects of management and leadership, but that type of training is unusual in the animal shelter industry. Brown points out that animal shelter administrators often promote people on the basis of how well they have done at the operations level rather than looking at whether they possess the necessary management skills. When this lack of experience in management is combined with a lack of training in leadership skills, the new shelter manager does not have the tools to succeed. He or she may not know how to give feedback, resolve conflicts, or delegate, and may not realize that part of delegation is following up to make sure that things get done. The Humane Network team can advise on what gaps in knowledge or experience are fixable with mentoring and should not be disqualifying. The challenge that shelters and animal welfare organizations face in recruiting and training good leadership is one reason that Brown and Blankenburg started a certificate course in Lifesaving-Centered Animal Shelter Management at the University of the Pacific. They believe that the certificate program can help people from outside the shelter industry get hired, and can help people who have risen through the ranks within the industry to fill gaps in management skills and leadership training. Enrollment in the certificate program has grown to the point that courses will now be offered year-round. Another issue with reforming a shelter is that it has to be done on the fly. Shelters are not like a manufacturing business that can just shut down for two weeks to retool. Reforming a shelter is more like replacing an escalator while it is in use, or operating on a beating heart. The animals will not stop coming in the door, and part of reform has to be keeping the shelter functioning as changes are being made. This difficulty can sometimes make directors leery about taking the initial leap to start reforms. In cases like this Humane Network can break the logjam by providing a strategy for getting it done. It helps for a consultant to have a track record of actually running a shelter and creating a sustainable lifesaving program, because the consultant has probably experienced many of the same problems faced by the shelter director. In addition to consulting with community-based shelters and animal welfare organizations, Humane Network has been working with some of the large national organizations on program development. Humane Network has done projects with Maddie’s Fund, Best Friends Animal Society, Petco Foundation, and Alley Cat Allies. With Alley Cat Allies, for example, they have developed a series of “toolkit” guides. One of them is a 90-page workbook on how to set up a foster program for cats and kittens (“Saving Cats and Kittens with a Foster Care Program”). The length of this brochure, 90 pages on 8″ by 11″ paper, illustrates how important it is to show shelters each step in the process rather than just telling them to “start a foster program.” In addition to working with the large national organizations, Humane Network sometimes works with other consultants. For example, they worked with the shelter medicine program at UC Davis on a project they did for the Animal Foundation in Las Vegas. The demand for their consulting services has been high, and Brown and Blankenburg have been going non-stop since they launched Humane Network. In the future they hope to have time to do more work on the big-picture question of the next steps for our movement. Stay tuned.